Would love to have a bottle of this on hand after a very busy day, week, month and year. In October of last year I had the opportunity to visit the Quinta da Alorna in the Tejo region of Portugal. I had never visited this area or its wineries so it was all new and thrilling. The Quinta da Alorna winery where we were treated to an exquisite lunch was a step back into history. Everything in the beautiful villa spoke of another age. Additionally, it was surrounded by an English garden yet the foods and wines couldn’t have been more Portuguese. Owned for five generations by the Lopo de Carvalho family, Quinta da Alorna is quite an experience. 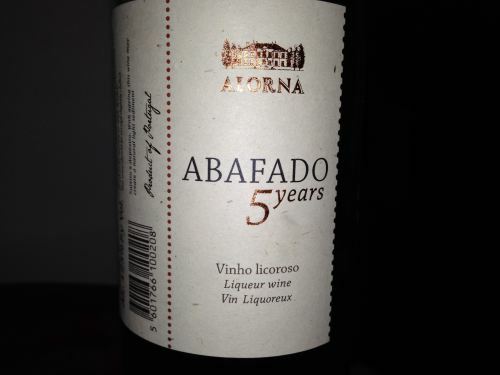 I will write a longer piece with photos on the winery but today’s entry is about their Abafado, a sweet wine made from the white grape Fernao Pires (also known as Maria Gomes).